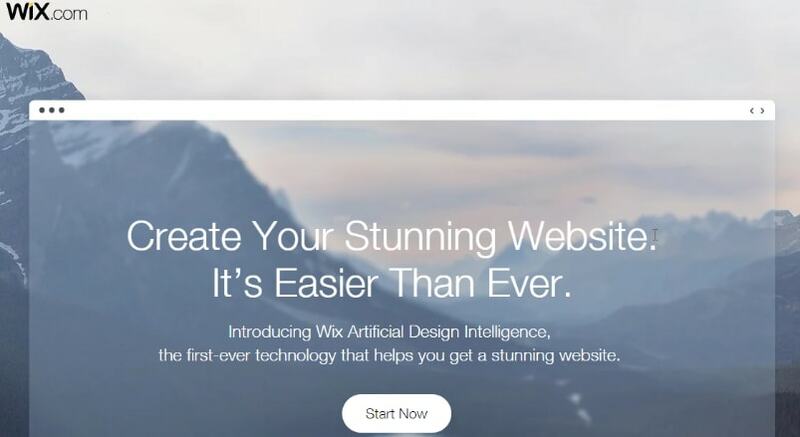 Wix ADI Review: Let’s Go Create a Site! I make no secret of the fact that I love Wix. So imagine my excitement as I’m about to dive in and put Wix ADI (artificial design intelligence) to the test for the first time! With that in mind, I’m going to create a website with Wix ADI and document each step of the process below as well as the finished product. Hopefully, this will allow you to see if you wish to go down this route or whether you should stick with the more conventional method. 1. Hands off website creation compared to the standard website editor. 2. Get a unique website tailored to your business or industry. 3. Option to edit your website manually until you’re happy. 4. Available on all plans, even to free users. 5. The finished product is different to all of the standard templates. 1. 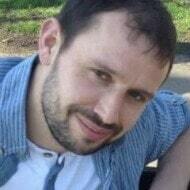 Can still look quite generic especially if there’s no existing information on the web. 2. You’ll more than likely have to do some manual editing before you’re ready to publish. 3. You’ll have to revert back to the standard editor to edit the mobile version of your site. 4. It felt a little slow at times, especially when previewing the site. Get Started With Wix ADI – The only way to know for sure if it’s for you is to take it for a free test drive. Wix Review – Take a closer look at Wix including the pros, cons and pricing. Just before we begin, I just want to quickly explain the difference for anyone that may not know, or has landed on this page by accident! The conventional way of creating a website with Wix is to first sign up, choose a design template, and then begin editing your site by changing text, uploading images, and changing colors etc. You can then move these elements by simply dragging and dropping them around the page. 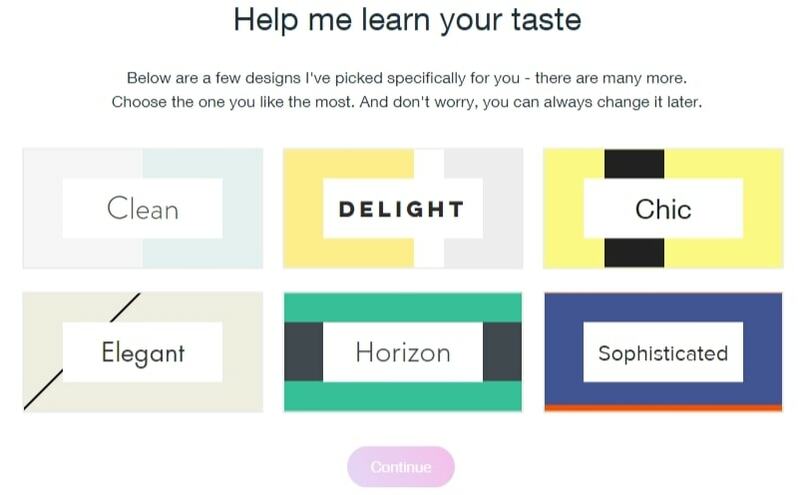 Although Wix has a ton of design templates to choose from, many people still worry that no matter how much they customize a template, it will never truly be unique. Wix ADI attempts to change that by creating a one-off design specific to you and your business. This is achieved by answering a series of simple questions. Wix then pulls any existing information about your business from the web and then automatically creates your website in front of your eyes. If you’re happy with the result you can publish your site. If not, you can edit it until you are. That’s the theory anyway, let’s put it to the test! Wix ADI In Action, Let’s Create a Site! After signing up (no credit card required), you’ll be met with the screen below asking if you want to create your site with Wix ADI or the standard editor. Next, you’ll be asked to choose what type of business you wish to create a website for. 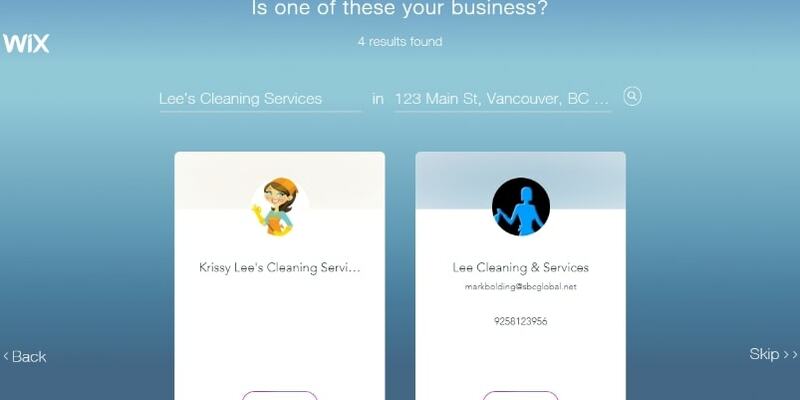 You’ll find a few options to choose from or you can type it into the search bar and a list of related businesses will pop up. 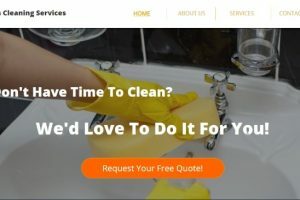 I decided to create a website for a fictitious cleaning business. Now you have a choice of specific features that can be automatically added to your site depending on your requirements. For my example cleaning business site, it would make sense for people to be able to book appointments online so I checked the box and hit the “Next” button. This one’s pretty self-explanatory, simply enter a name for your website, it could be your business name. You can always change this later. If you have a local business where your clients visit your premises, it’s a good idea to add your address to your website. Not only will it help people find you, but it will also help the search engines position you a bit higher in the search results. If you don’t want your address made public for whatever reason, you can skip this step. The next step is allowing Wix to the internet for any existing information that can be pulled from social media sites such as Facebook, Twitter, and any other public places, in an effort to personalize your website. In my case, there wasn’t anything to find as it’s a fictitious company. This may also be the same for you if you’re a start-up or simply don’t have any information already out there. In any case, Wix will pull similar businesses and you can select yours if pops up. If not, you can move onto the next step. If you have a logo ready to be used on your new site, now is the time to upload it by clicking on the camera icon. You should also check your details are correct and add your social media profile links if you wish. Not much for you to do here other than hit the big “Start” button. Just before Wix ADI goes to work, they ask that you choose what type of design you’d like. I chose “Clean” as I usually prefer a clean, fresh, uncluttered look for my sites. Don’t spend too long here, you can always change it later if you wish. Step #10 We’re pretty much done! The next couple of screens you’ll see are Wix Working creating your shiny new website. Simply click on any prompts that you see to keep moving forward. I have to admit, I wasn’t really expecting much from the ADI feature and I genuinely thought it would simply be some variation of the standard template. I’m quite impressed with the finished product. It’s different from any other template I’ve seen from Wix. It’s simple, clean, modern and professional looking. It may look good, but I have to say it’s pretty generic though. I imagine that’s partly down to the fact that there isn’t any existing information or images out there on the web that the ADI feature could utilize. This may also be the case for you, especially if you’re just trying to get your business off the ground. I believe I would have a much more personalized website if I already had content and images on the web that could have been pulled in. To get around this, you’ll have to spend some time uploading your own pictures and editing the text to suit your business. What Else is Left To Do? As much as I like the ADI feature, I didn’t feel anywhere near ready to publish the website. This means I’m going to have to get my hands dirty. Wix allows you to manually edit your site in the ADI screen, or you can take it over to the standard editor. As I said earlier, I wasn’t really expecting much but I was pleasantly surprised. get your hands dirty and do a little manual editing. I’d encourage anyone to give it a try and as it’s available on free plans, you don’t have anything to lose. I would love to hear how you get on, let me know by dropping me a comment below. next post: Weebly Pricing Review – Which Plan is Right For You?